Honeybees are amazing creatures until they set up residence on your property uninvited. Though honeybees aren’t looking to sting you, if they feel threatened, they can become aggressive. This is why it’s important to remove them if they’re becoming a nuisance. Bee stings are no joke, especially for those who are allergic. An infestation can also pose a threat to nearby animals or to your business if your employees’ safety is at risk. The first step is determining if you have honeybees on your hands. Lots of people think they have a swarm of honeybees when in actuality, they have a problem with bumblebees. Bumblebees are less of a bother because their nests only stick around for a season at most, and if left alone, they’ll be out of your hair in a matter of weeks. Bumblebees are more colorful and have a softer, rounder appearance compared to honeybees. Honeybees live in larger colonies than bumblebees do. These distinctions should help you determine which kind of bees you’re dealing with. First of all, don’t throw rocks or sticks at a swarm of bees in an attempt to get them to leave. All this will accomplish is making the bees angry. Don’t try to get rid of the bees by yourself without professional help. Chances are you won’t be successful in getting them all to set up elsewhere, but you, or someone else, can get injured in doing so. Don’t attempt to remove honeybees by yourself. Doing so safely requires protective clothing, a place to transform the hive to, and possibly a smoker. You can find a local beekeeper online or through Facebook groups or neighborhood references. A local beekeeper can rid your area of a swarm without causing harm to you or the bees. Some beekeepers might charge for Los Angeles bee removal while others may do it free of charge, but be sure to check ahead of time. The beekeeper will take the bees somewhere where they can start a new colony. If you can’t find a local beekeeper, contact an area farmer and ask them if they know of one who can help you. Many farmers have a beekeeper reference since they often use their services to help with pollination. To remove honeybees, or any other type of unwanted pest, from your property, a local exterminator is one of your best bets. Find an exterminator that is a state-licensed specialist that is equipped and trained to handle bee nests and hives properly. 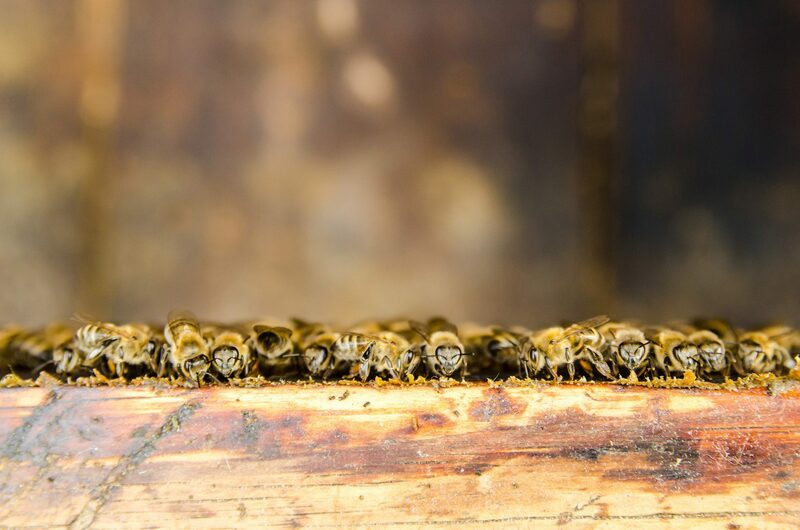 Reputable exterminators understand the risks that unwanted bees can pose, from bee stings to full-on infestation. They know how to remove bees from residential and commercial areas without putting the residents at greater risk. A good exterminator can also provide useful advice for discouraging bees from setting up their hives on your property in the future. For Los Angeles bee removal from an experienced pest control technician, give us a call at Mills Pest Management. We can assist you with the removal of any type of pest and set you up so that you don’t have to worry about the nuisance of future pests. Learn more about our services on our website and then contact us today. We look forward to serving you!